A new study shows that adults without a regular bedtime are more likely to gain weight and have high blood pressure than those who doze at the same time every night. The findings come out of the Duke Clinical Research Institute, where a research team led by Dr. Jessica Lunsford-Avery investigated the impact of consistent nighttime habits on health by tracking the slumber of 1,978 adult subjects. After analyzing the data, researchers discovered that those with irregular sleep schedules weighed more, had higher blood pressure, and were at a greater risk of having a heart attack than those who went to bed and woke up at the same times every day. Perhaps there’s something about obesity that disrupts sleep regularity. Or, as some research suggests, perhaps poor sleep interferes with the body’s metabolism which can lead to weight gain, and it’s a vicious cycle. With more research, we hope to understand what’s going on biologically, and perhaps then we could say what’s coming first or which is the chicken and which is the egg. 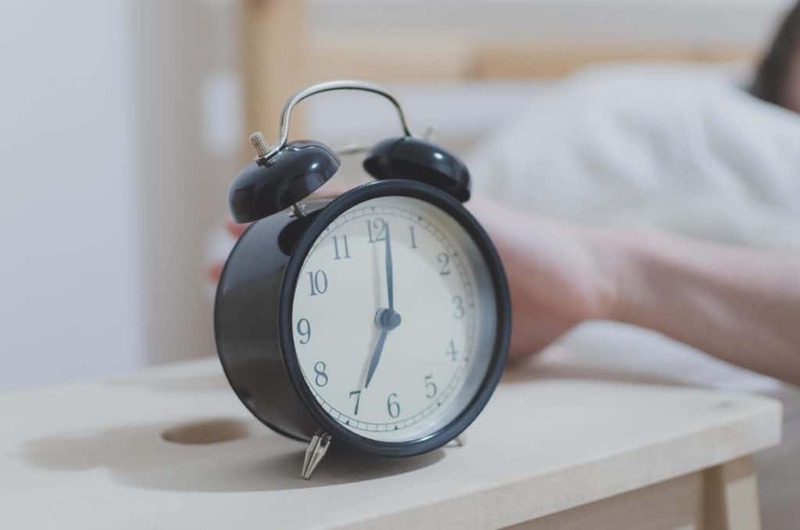 Though the analysis also considered the duration of sleep and whether participants identified more as early birds or night owls, Dr. Lunsford-Avery said that regularity was the best measure for predicting cardiovascular and metabolic disease risk. The data also showed that irregular sleepers were drowsier during the day and less active than their more time-sensitive peers. Moving forward, researchers plan to continue interrogating the subject of sleep consistency with studies that observe subjects for longer periods of time. Need Help Finding Your Bedtime? Use Our Sleep Calculator! While we’ve covered a lot of research over the past year that’s looked at how much sleep we need to feel healthy and well-rested, this is some of the first we’ve seen that’s put the emphasis on when we catch our Zzz’s. And it makes sense — sleep experts have long said that one’s internal clock plays a significant role in determining how one slumbers. The idea is that if you can tune into this personal rhythm, you’ll be able to create a sleep routine that aligns with what your body’s already programmed to do. As Dr. Lunsford-Avery and her team stressed, it’s not about getting to bed at the same time as other people, but finding a bedtime that works for you. Not sure where to start? Take a peek at our ultimate guide to setting up a sleep routine for kids, which highlights bedtime behaviors relevant for sleepers of any age such as ditching electronics in bed and taking time to relax before slipping underneath the covers.